Franco Giulietti is a registered professional hunter and outfitter, member of SCI and PHASA. He has rifles available for hire by interested hunters. 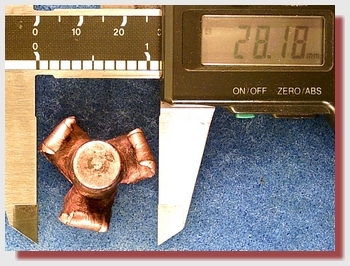 The lion pictured below was hunted with the GS Custom 458calibre 400gr HV bullet. Pictured below is Mario Benvanuti of Italy. 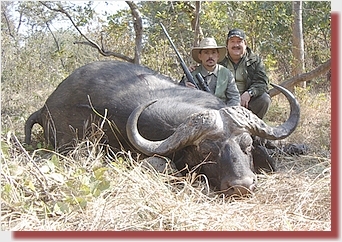 Mario used FG Safaris' 458 Win Mag, fitted with Tasco Red Dot sight and GSC muzzle brake, on his lion hunt. 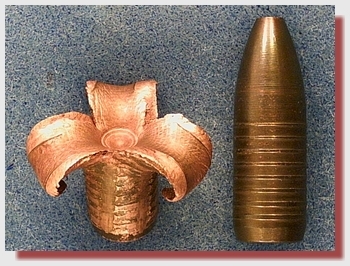 The pictures that follow show the retrieved bullet, and demonstrate the performance of the 400gr HV. A group of Italian friends in Africa. 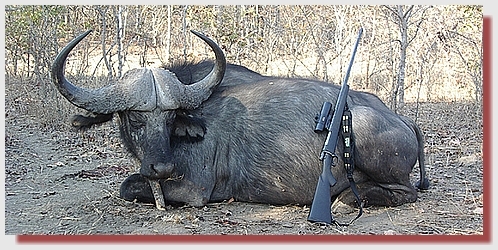 The Buffalo was shot by Ermanno, holding the 458 Win Mag. 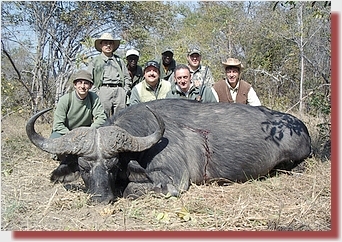 Mario just had to try his hand at shooting this fine specimen of Buffalo in Africa.